Michael was Visiting Professor at The Eastman Dental Institute, University College London between 2003 and December 2011. He was recognised by The General Dental Council as a specialist in oral surgery and a specialist in restorative dentistry. He maintained a private restorative and surgical practice in London. 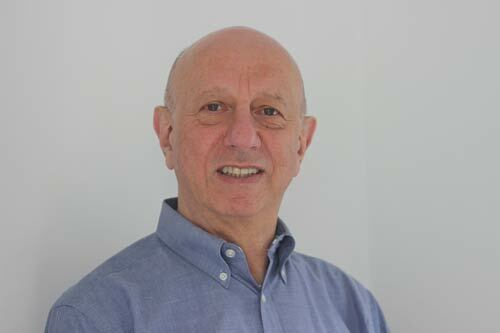 Since 1977 he ran continuing postgraduate courses for groups of up to 20 dentists teaching both dental and life management skills. Shocking, frightening, brilliantly and finely observed, optimistic, spirited, moving and very funny. Cherry Mosteshar. Author and Literary Editor. Irrespective of whether you have personal, hands-on experience of kidney disease, a mere passing association, or no previous link whatsoever, you will find this book, without doubt, an awesome read. It is eloquent, factual and, in parts, extremely funny. It will have you laughing out loud at the absurdity of some of the situations that Michael finds himself in and also in tears at others. It is a brutally honest account of life on dialysis. A warts and all insight into the welfare of the sufferer as well as the experience of his loved ones. A no-holds-barred account, which I found emotive and very inspirational. His family and friends were distraught at being so helpless in his suffering, and yet they created an impenetrable force of love, affection and devotion which saw him through the darkest of days so that he could keep up the fight to see light once more. I found myself feeling humbled and yet euphoric at the same time. His raw honesty in his use of dialogue, and the beleaguered world that he found himself in (particularly when recounting his time in a coma), was amazing. A complete shock at what it is like to be in a coma - a lesson for us all to make sure that the patient is always considered and included. Although his story is so dreadfully sad, it is also uplifting. He takes the reader along with him on the journey, experiencing each process as if you were there, sensing and smelling every aspect. I found myself constantly willing him to keep going: Don’t give up! Keep going! Lawrence Keogh, Celebrity Chef, Author and Kidney Transplant Recipient. 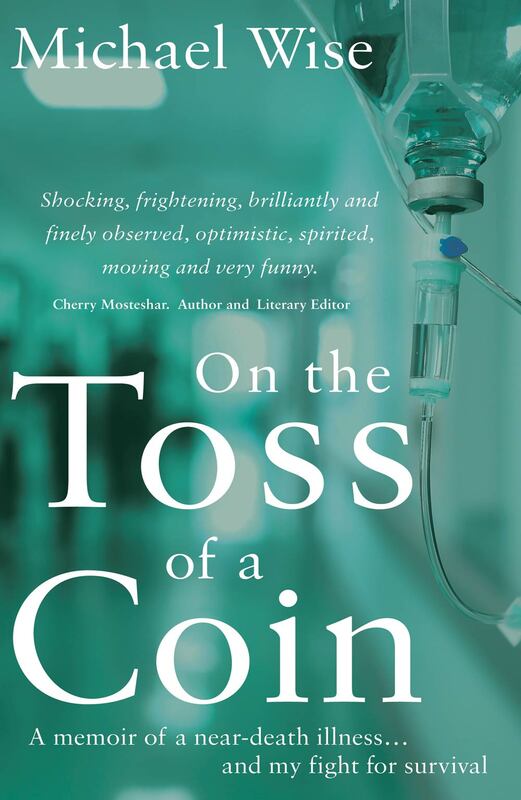 There is an arbitrariness to life which can so easily shift us from one life path to a radically different trajectory that is well captured in this compelling memoir of a devastating illness. Disaster strikes in the form of toxic shock, causing acute kidney failure. What follows is an existential battle against the wide range of unexpected challenges that is a daily occurrence for those who have experienced critical illness, and for dialysis patients and their families. The kidneys are fascinating organs to study: they do so much. When they fail, the complications affect every system of the body. This book eloquently describes what it is like to face that daily uncertainty, the importance of family and friends and the inner resolve needed to ‘win’. I have been practising and teaching renal medicine for over a quarter of a century and recognise the struggles of many patients in these pages but I have never before read such an enlightening account. Michael Wise is an expert by experience; he is also a gifted writer whose story provides a deep understanding of what it is like to suffer kidney failure. Doctors and nurses, patients and carers, indeed all of us with an interest in the human condition have much to learn from this expert. The story is ultimately a personal one, that’s what makes it a page turner but the message is inclusive. We all celebrate Michael’s success and, as importantly, learn a great deal along the way. Michael Wise has stared into the darkness of uncertainty, indeed worse, possible death. He fought it and with humour, recounts his awful experience. I watched a close friend go from a shrinking sickly being to his old self, following a kidney transplant. It occurred to me that someone would certainly benefit from one of my kidneys. Far outweighing any victories of steeplechasing, was the donation of a kidney to a person who I’ve never met. It is not the smug 'look at me, walking on air’ glow, but rather just the satisfaction that part of my battered old body has given someone like Michael the chance to get back to living a life that illness has sapped! Just ten weeks after the donation surgery, it was superb to return aged 69 to relive that old adrenalin rush, riding in the Legends Flat Race at Aintree on Grand National Day. However, it did not even come within a mile of the effect of the letter that I received from my recipient a week after the swop when he told me I had given him life again! Strong words that made an aged old jockey cry and I am watery eyed again now as I write this as a tribute to Michael’s powerful, eloquent and deeply moving book. Richard Pitman, champion jockey, BBC commentator, author and altruistic kidney donor.